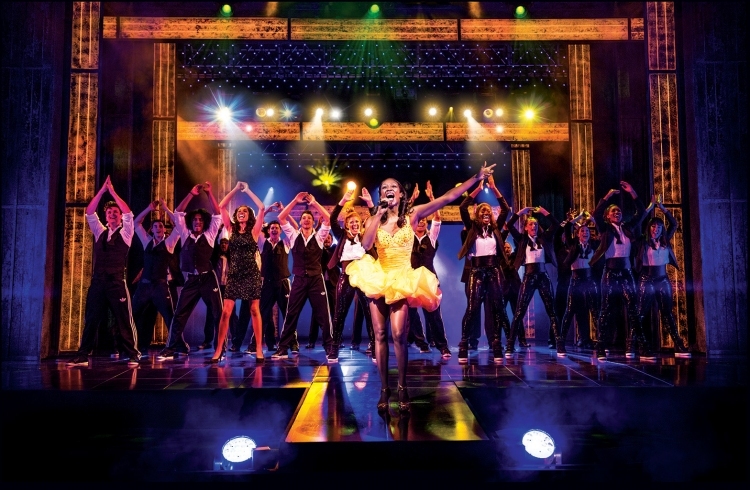 Another flashy West End crowd pleaser, The Bodyguard demonstrates the fact that London music theatre does not have the award-focused obsession that Broadway does when creating new works. There Is nothing like some recognisable songs and story on stage before a flashy megamix to send them home smiling. Like Flashdance and Footloose before it, The Bodyguard continues the trend started by Saturday Night Fever in which background movie songs are turned into a music theatre score. With no way for the modern audience to be exposed to new theatre songs, the prospect of starting with a grab bag of well-known hits is indeed a tantalising one, just ask The Commitments. 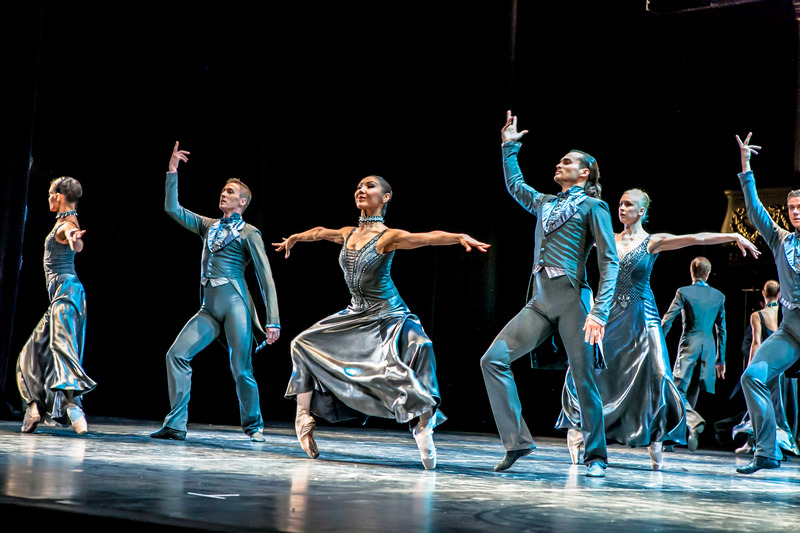 Based on Lawrence Kasdan’s script for the megahit 1992 movie, book writer Alexander Dinelaris has deftly streamlined the story of The Bodyguard for the stage. In particular, the key charcater of The Stalker is reduced to a single figure, who maintains a genuinely eerie stage presence. First seen, in a nifty piece of staging, floating vertically on the rear wall, The Stalker creates some genuine moments of terror, well above the fear generally associated with musical theatre. Having accidentally left the viewing night to one in which megastar Beverley Knight is on vacation, Man in Chair happily viewed the work of first cover Joelle Moses as superstar Rachel Marron. Moses’ smiling countenance may have contradicted the initially surly character of Marron, but her performance in the more pleasant scenes is fine, and her singing is superb. Given that this is a musical, Tristan Gemmill, as The Bodyguard, is given a moment to sing, when his character takes Marron to a karaoke bar, and he has a go at the Dolly Parton hit “I Will Always Love You.” Other Whitney Houston highlights include the Marron sisters, Rachel and Nicki, singing “Run to You,” and the opening number “Queen of the Night,” featuring Mozart-like wigs and actual soprano cadenzas and ornamentals a la The Magic Flute. Using a minimum of projections, for multimedia effect only, the settings largely feature billowing white curtains and four layers of industrial sheeting, which often flies in or out in an iris-like formation to focus attention on the key attraction. Tim Hatley’s design also features selected highlights from Rachel’s Bel Air mansion, and an impressive set for the act two cabin, where a climactic moment plays out in dramatic style. Thea Sharrock’s direction focuses our affection and disdain in the right directions, and keeps cinematic transitions at a premium. Early glimpses of The Stalker, sitting vertically on the rear wall, are excellent, with the dramatic climax scenes reaching an emotional high point. 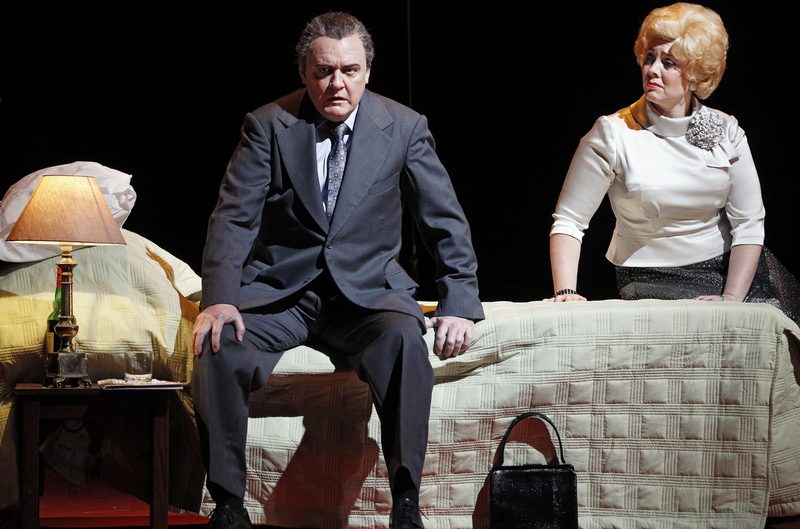 Terror is not an emotion usually associated with musical theatre, but it sits well here. Michael Matias is excellent as Rachel’s son Fletcher, with the strongest possible support also coming from Carole Stenett as Rachel’s ill-fated sister Nicki Marron. After the emotional high point of all-time classic “I Will Always Love You,” a good proportion of the dramatic tension is promptly dissipated with the post-curtain call finale, in which the entire company happily sings and dances to original Bodyguard star Whitney Houston’s massive hit “I Wanna Dance with Somebody.” Moses even helps us to understand that Michael Rouse, who played the creepy Stalker, is not actually a bad person, by giving him an affectionate peck on the cheek. 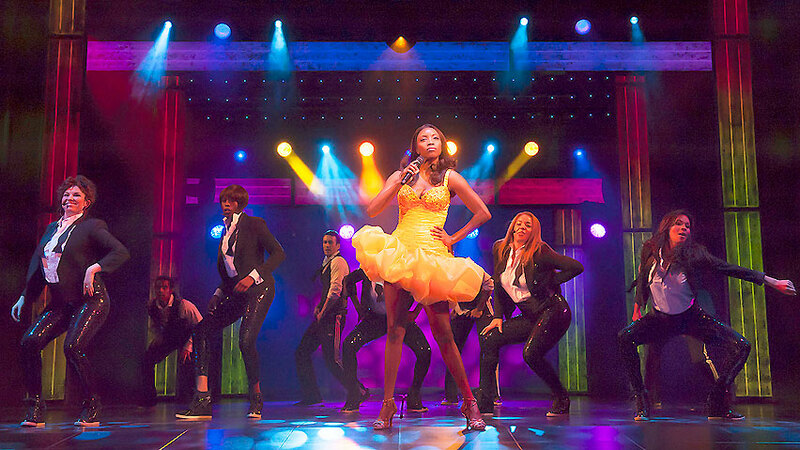 The Bodyguard was reviewed on 13 January 2014 at Adelphi Theatre, London, where it has an open-ended run.